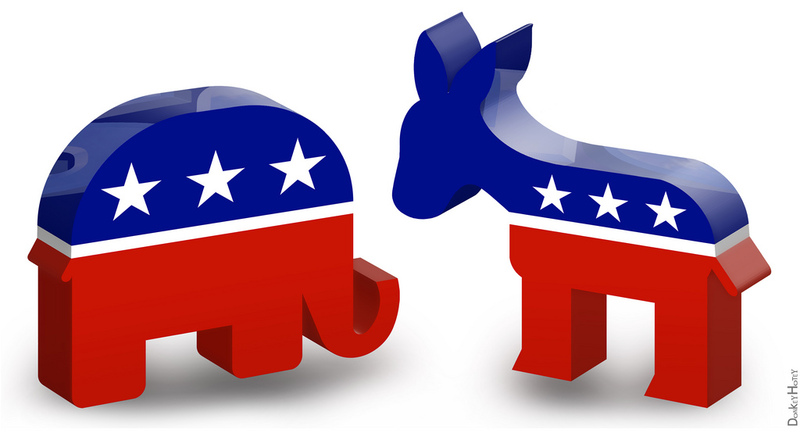 "Republican Elephant & Democratic Donkey - 3D Icons" by DonkeyHotey is licensed under CC BY 2.0. The 2016 presidential campaign raised many issues about journalism, from fake news to big data. Conversations about these issues continue after Inauguration Day, and indeed the early weeks of the Trump administration pose new opportunities for journalism educators. Join us for an #EdShift Twitter chat about talking politics in the journalism classroom on 1 p.m. Eastern / Noon Central / 10 a.m. Pacific on Wednesday, Feb. 22. We’ll discuss using political data in class, how educators are using social media (or not) to share political views, and share tips and lesson plans to prepare students for a world in which every reporter is a political reporter. Participants will include: Meredith Broussard of New York University, Russell Chun of Hofstra University, Arizona State‘s Kevin Dale, Beatrice Motamedi of Global Student Square, and Leigh Landini Wright of Murray State. The chat will be moderated by MediaShift’s education curator, Aileen Gallagher of Syracuse University.